Although E-Lites electronic cigarettes have run into some stiff competition, they are still widely considered a top UK e cigarette by thousands of people. Known for their early entrance to the e cigarette market (2007), humorous advertising campaigns and cheap pricing, E-Lites built up a sizable customer base that stretches far beyond the borders of the United Kingdom. However, even with all of this coupled with our love for vapour cigarettes, it was a real surprise to us that we never tried E-Lites before this review. We tend to stay away from bigger brands because they have the money for advertisements. Good adverts don’t necessarily translate into a good product. Yet, we kept on hearing about E-Lites on almost a weekly basis, so we decided to give them a shot. Let’s take an in depth look at what E-Lites has to offer. We decided to review the E-Lites E200 starter kit because it contains enough products to conduct a comprehensive review while at the same time being priced well (£39.99). If you were a fan of traditional cigarettes, E-Lites destroys the competition in regard to design. Even more than Cigees, E-Lites looks incredibly like a real pack of cigarettes. It feels like a real pack of cigarettes. The weight is similar to a real pack of cigarettes as well. It’s simplistic and stylish, and their acrylic nature really shows that E-Lites cares about their image. Well played, E-Lites. Now we get to the good part of this e cigarette review. The E-Lites E200 kit comes with a battery that uses G9 diamond core technology – a nice catchy name. So how did it perform? The battery itself comes in a very attractive design, which resembles a real cigarette (just like their packaging resembles a real pack of cigarettes). And the technology? Two words: game changer. As in, possibly better than Green Smoke’s KR808D battery in terms of lasting time. The E-Lites G9 battery lasted us over 400 puffs which is roughly 8.5 hours of standard vaping usage. This G9 technology is also responsible for the impressive responsiveness given off by this battery. There is no need to take a few drags to heat up the battery or see vapour as you exhale. The results are instantaneous. However, E-Lites underperformed in the vapour volume department. There is a nice amount of vapour from every puff, however nothing close to that of Green Smoke. But, perhaps E-Lites wanted it that way. When you inhale a real cigarette, you do not exhale an incredible amount of smoke; rather, it is average. We personally prefer a huge vapour cloud, however some people prefer less of a vapour cloud and one that mimics a real cigarette. We believe this is what E-Lites was aiming for. If this is what you prefer, then E-Lites is most certainly for you. The throat hit also corresponds to the mixture of their vapour volume and nicotine. Because the battery is powerful but the vapour volume and nicotine are not as potent, the throat hit is great, but could be better. The charging times are great though. For a battery this powerful, we were shocked to see that charging a dead battery to full charge took just under 3 hours. Moreover, E-Lites batteries will last you about 9 months! The industry average? 2-4 months. For such a large company, we were surprised to see that E-Lites only offers 4 flavour choices. Before we get to those though, we would like to mention that the E-Lites refill cartomisers are one of the longest lasting we have tried. E-Lites claims that each cartomiser lasts 400 puffs. They came relatively close to this number. Our personal results were closer to 325, which is still outstanding. This is the equivalent of 1 and a half packs of regular cigarettes. As for flavours, E-Lites only offers 4: Reds, Golds, Greens and Nicotine Free. Sticking to the theme of their brand, these flavours are meant to resemble different types of regular cigarettes. E-Lites does not offer any ‘fruity’ flavours such as Cherry or Strawberry. That said, the flavours were really quite good. It is difficult to explain actually. On the one hand, the flavours were meant to resemble your typical regular cigarette. On the other hand, they are smoother and cleaner in taste. The E-Lites flavours are not as rough as real smoke. Overall, it made for a smooth vape experience, one which we enjoyed. As we said previously, if you are looking for something that works like a real cigarette, E-Lites is the perfect choice. Lightgreat if you prefer a lighter nicotine sensation.Mentholour favourite. We enjoy Menthol because it has a nice throat hit but isn’t too harsh.Nicotine Freeno nicotine. Regular a good choice if you smoke on a regular basis. If you are a heavy smoker, E-Lites may not be for you because they do not offer a heavy nicotine dosage. Rather, perhaps look at V2 Cigs. People could make the claim that E-Lites has the best customer service in the e cigarette UK market. Why? They are the only electronic cigarette UK provider to offer support every day of the year. Every other e cigarette brand we have come across, including even Green Smoke, is not open every day. With E-Lites, you can contact them via phone (toll free) or by e-mail via their website form on their Contact Us page. Our call was answered within five minutes and our e-mail inquiry was replied to within 6 hours. Their operating hours are: Monday-Friday 9AM-8PM, Saturday 9AM-4PM, Sunday 9AM-4PM, and Bank Holidays 9AM-4PM. E-Lites falls a bit flat on their money back guarantee. They only offer a 7 day money back guarantee, but it is on unopened packages. When you place an order, of course you are going to open it. E-Lites could have done better in this regard, even if their products are amongst the best. However, their warranty is fantastic. Their e-packs and USB/wall chargers come with a 1 year warranty, while their batteries come with a 6 month warranty. E-Lites offers very fast shipping as you would expect from a company of this size. If your order is placed by 3PM, it will be shipped out that same day by Royal Mail. For UK customers, there are two shipping options: Royal Mail 1 to 2 day service and Royal Mail 2 to 3 day service. Shipping does cost a few pounds unless you purchase at least £50 worth of E-Lites products – then your shipping is free. 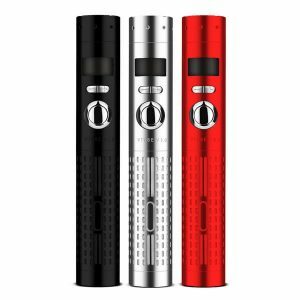 If you are looking for an electronic cigarette that is strikingly similar to a real cigarette, E-Lites is a great choice. While the vapour volume is not as thick as other brands, it is still very apparent. In fact, if you want the experience of a real cigarette, then E-Lites vapour is perfect. Moreover, the battery and cartomiser performance is amongst the best in the industry, and perhaps even at the top. Overall, E-Lites definitely lives up to their reputation.